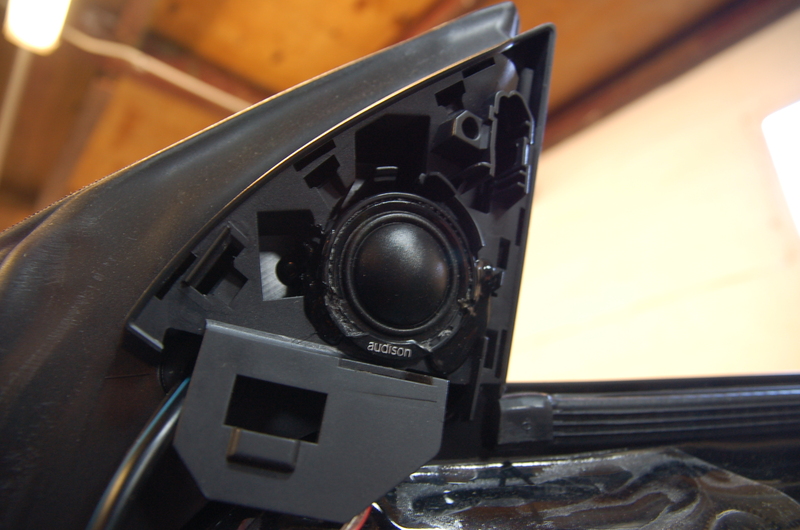 Pre equalisation is something you’ll have caught me banging on about if you’re a regular to our blog, its the vile act of equalising sound on the move to lull you into a false sense of non distorted “good sound”, a common practice in manufacturers so called upgrade systems.. It isn’t good sound, its a thinned out at the top and bloated down the bottom algorithm fiddled version of its former self. For 75% of car owners “that’ll do” is a commonplace term however for us and our clients it really isn’t. 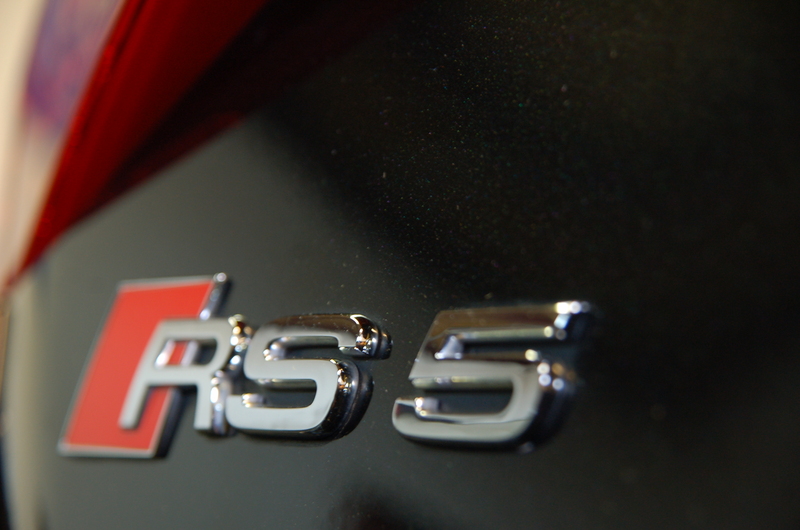 Let’s take a look at Sam’s RS5, a young lad that knows exactly what he wants. Included in this is the replacement of the upgrade Bang and Olufsen system and replacement with one of our digital system. The RS5 packs a brilliant feature spec when it comes to the factory equipment, in fact its quite common now to encounter some seriously spec’d factory systems. The only problem as i’m sure you’ve heard me mention is the awful way they tend to produce sound, regardless of some of the biggest names in the business being involved with a lot of what goes on in today’s manufacturer market they always miss the mark. Be that down to budget constraints, location of drivers and position constraints or just general difficulties encountered when trying to achieve a decent sound inside the cockpit of a car and knowledge on how to overcome these difficulties. The cure? To extract digital data at its source, before any of these little nasties get hold of it you’ll get the best possible signal in that circumstance. Also (this is the trick part of it, for me at least) even though you’ve gone straight to the source to extract the signal you want, you retain the entire control of the system. Every single thing the cars entertainment system can do from stock it will still do when integrated in this way but simply sound far superior. Audisons DMI pictured is the little box of magic that we use to get this signal data out before its put through the blender. 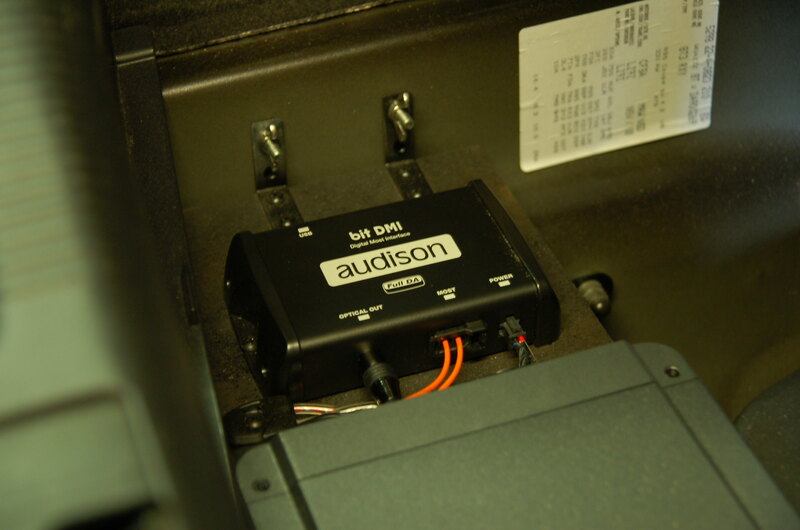 This then feeds our processor, in this case the Audison mid level Bit Ten D, this also receives the data from the DMI via its Digital Optical input meaning up until this point other than a solid state and pretty much lossless conversion from digital electric to optical there has been no conversions. As a rule, a conversion (be it D/A – A/D) Is a backwards step in sound quality as it will (fact) make an impact on the signal it is carrying. This piece of kit (the Bit 10D processor) not only allows the digital input as a source, it offers two other source inputs, Auxiliary and master inputs should you want to run any other source units as an extension to the system. After all of its clever input controls you get heaps of options for sound processing. 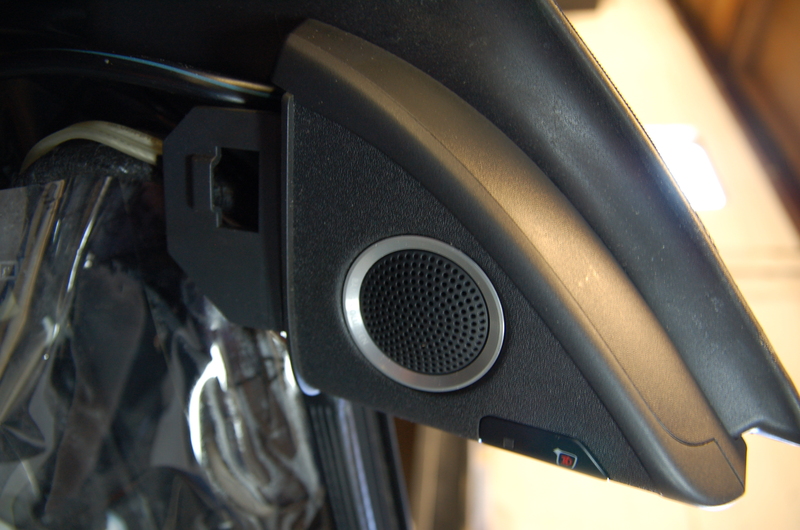 Phase incoherence is one of the biggest problems you are faced with in cars given the driver locations in relation to the listener, this can all be dealt with during a decent tuning session from the very professional looking interface and software on our laptop. Output levels, time alignment, crossover points, electrical/mechanical phase, equalisation are just a snip of this processors control options all designed to tailor the sound to the listeners preference. This particular install was built in such a fashion as to be removed whenever it was called for leaving the car completely stock. You’ll notice the rack in which the DMI, Bit 10D and Hertz HCP5D is “quick release” on wing nuts and blind threaded rivets. Painted black for stealth and cabled quite simply again to allow ease of removal. Theres no need for show in this install, it’s all about the end game, the sound. As previously mentioned we chose to use the Hertz HCP5D amplifier due to its compact footprint and powerful 65wpc and 330wpc on bass. This amp is a clever piece of kit and can be used in a lot of different systems to this. Its on board crossover network can allow an active set up without pre-processing should you wish even from an oe high level input if you would like.. 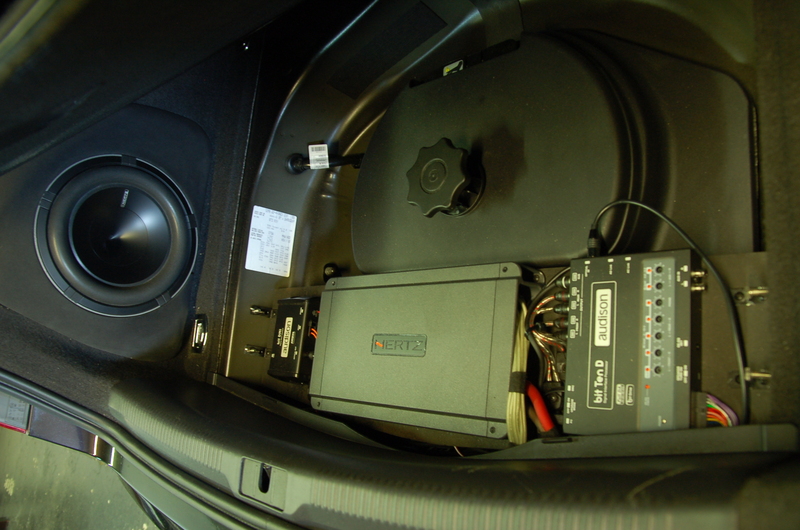 In this case we have used it as we wanted to run the front end of this car “active” essentially allowing each individual Audison Voce speaker to be fully and independently controlled from its own channel of amplification. The beady eyed amongst you will notice we have removed the grill from the tweeters, this is simply due to space constraints as the car had to look as close to stock as we could possibly get it but without compromising the sound. Grilles just get in the way anyway. 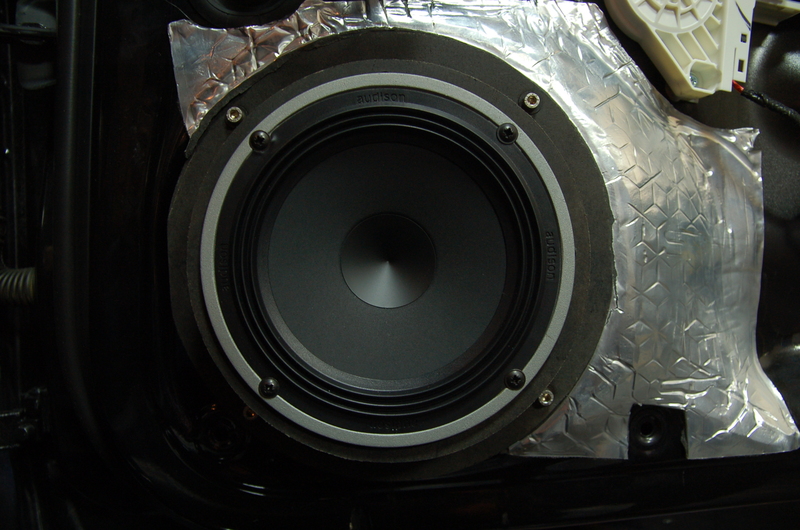 The mid bass speakers as you can see are mounted on 36mm solid baffles, painted again for stealth and bolted to the doors using the original thread mounts as not to change the car for the return to stock. The door panels were deadened lightly as they aren’t actually to bad from stock it’s a well built car as you would expect from an Audi RS. 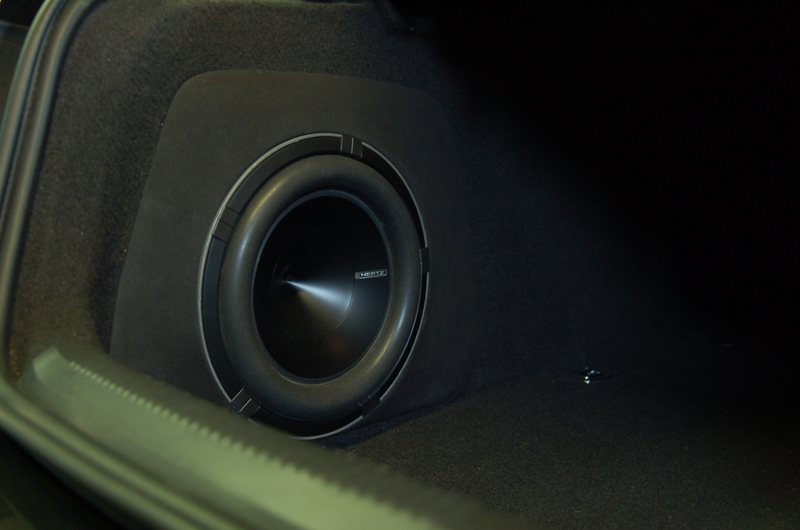 The only visible part of the entire system is the presence of the Hertz HX250D in the custom rear quarter enclosure, a 10″ subwoofer that packs a huge punch for its size and price tag. Although it could simply go in a square box in the boot it would go against the whole ethos of the system, the class of the car and i’m sure Sam would have had something to say about it. The HX250D works in enclosures from 0.4 cuft which is staggeringly small for such a chunky long throw speaker and helps in making the perfect enclosure size in limited space. 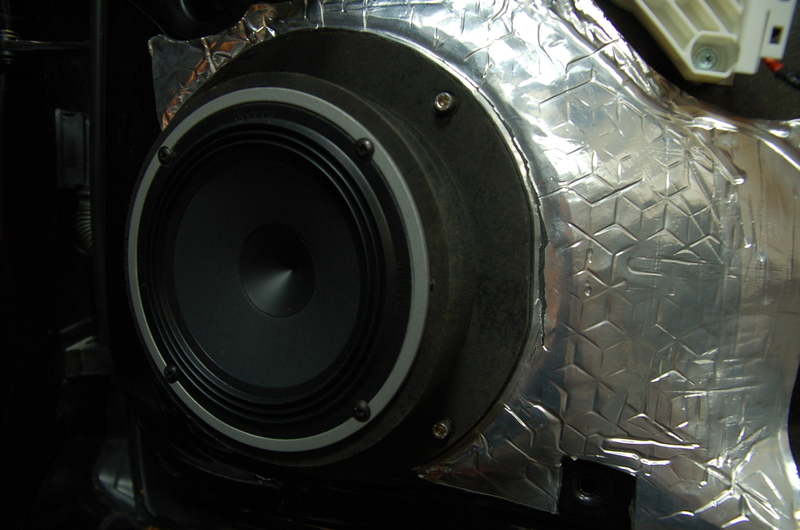 The enclosure we made here is 0.6 as to try and gain some extension due to the cars cabin and sealed boot area. Of course, with this amount of effort and a generally good attitude towards getting the best from the end product the system was bound from the start to sound fantastic. 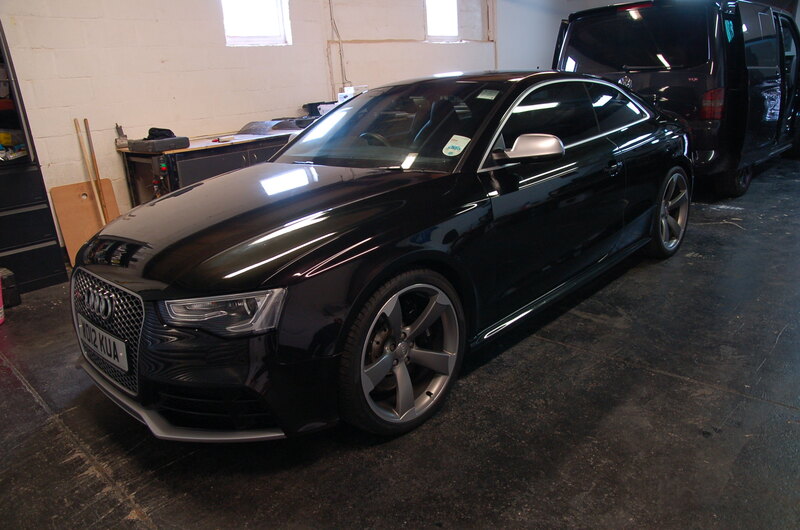 This may sound arrogant but we put huge effort into the way our cars are built, tuned and clients are treated. Sam was over the moon with the system and particularly liked the boot enclosure. We’ve got another customer for life which is always a bonus. Anyway, lets wrap this one up. A cracking car which has been a pleasure to work on with great results. As always, questions and comments completely welcome. We can be found on Facebook and instagram under the tag #Studioincar should you want to keep upto date with our daily shenanigans..